When the first Audi A5 hit the market back in 2007, experts and consumers alike quickly fell in love with its unique, sporty design, impressive performance and overall quality. 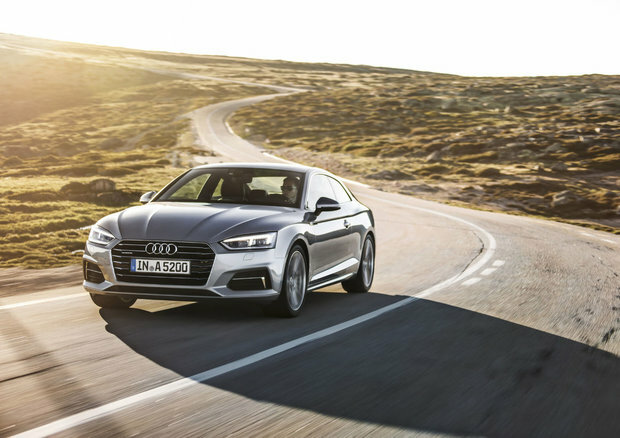 10 years later, Audi introduces the all-new 2018 Audi A5, the new-generation A5 which keeps all of the features we all loved about the original A5 Coupé, and then makes everything better. As Car & Driver recently stated in their review of the new 2018 Audi A5, the original A5 was an “aesthetic highlight of 21st-century automotive design”. It was therefore expected that Audi wasn’t going to play around too much with the new A5’s design. That said, like other recently introduced new Audi models, the 2018 A5 gets a more rounded, upscale look that is an evolution of the previous generation design rather than a revolution. The important thing is that there are just enough differences made to the design, including new standard LED headlights, and a more refined front grill, to make the new generation immediately noticeable out on the road. Buyers will be able to choose between three distinct wheels with 18-inchers being standard and two 19-inch wheel designs being optional. Based on the new 2017 A4, the 2018 Audi A5 Coupé is built on Audi’s second-generation MLB platform. 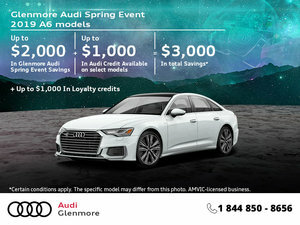 Available starting at $46,350, the 2018 A5 gets a standard 2.0-liter turbocharged four-cylinder engine that delivers 252 horsepower and 279 lb.-ft. of torque. Also shared with the A4, this engine allows the new A5 to rocket to 100 km/h in just 5.9 seconds. More power is offered in the 2018 Audi S5, but we will talk more about that in a future article. The A5 sends its power to all four wheels through Audi’s Quattro all-wheel drive system and either a six-speed manual transmission, or an S-Tronic automatic. Audi’s Drive Mode Selector is standard and allows drivers to change the behavior of their A5 to make it more efficient, more comfortable or more dynamic, all at the touch of a button. The 2018 Audi A5 is offered in three trims: Komfort, Progressiv, and Technik. The base Komfort trim offers bi-xenon headlights with LED daytime running lights, push-button start, heated front seats, leather seats, Bluetooth, and more. Progressiv adds a rear-view camera, heated steering wheel, MMI Navigation, an 8.3-inch display, and front and rear parking sensors, among other features. The top-of-the-line Audi A5 Technik features rear cross traffic alert, Audi side assist blind spot monitoring, a Bang & Olufsen sound system, High-beam assist, LED headlights, a top view camera, and Audi’s Virtual Cockpit which features a 12.3-inch configurable display behind the steering wheel which, for everyone who has had a chance to see it, is not only upscale and beautiful, but also quite useful. To learn more about the 2018 Audi A5 Coupé, contact us today at Glenmore Audi!